William Jay, the youngest son of John Jay had five daughters and one son, John Jay II. John married Eleanore Kingsland Fields. Their oldest child was Eleanore who married Henry Chapman. It is this family that we trace. Eleanor Kingsland JAY was born on May 16, 1839, in New York. She married Henry Grafton CHAPMAN in 1858 in New York. She had four children by the time she was 25. Her husband Henry Grafton passed away on March 14, 1883, in Manila, Philippines, at the age of 48. They had been married 25 years. She died on June 8, 1921, in New York, New York, at the age of 82, and was buried in Bedford, New York. JJChapmanbio: Henry Grafton Chapman, who died in his fifty-third year in January, 1913, was one of those quiet men who seem to bear no relation to the age they are born in. By his endowments, his tastes, and his education he was fitted to be an amateur of a kind very common in Europe,—one of the studious, well-nigh learned children of culture, who love books, pictures, music, philosophy, the lamp, and the quiet conclave with infinite good talk. If Henry Chapman had had the fortune to have been born in Europe or in China, and to inherit money, his life would have been a record of cheerful success, even as it was, in America, a record of cheerful toil. For some reason there was a glory about his boyhood. He was the prize boy of his set; brilliant things were predicted of him by every one. His talents and charms, his goodness and his good looks set off, as with a foil, a moral worth which every one found in him. A singular sweetness and gentleness of disposition remained to him all his life. It survived the more ambitious qualities with which we had all endowed him in his teens. It gilded his life and made his friends forgive him everything; for he was the most negligent of men. You could not see him unless you looked him up and dug him out from among his books and papers. He would hold you in converse on a corner of Broadway at midnight with a discussion about Plato, and would never miss you if he saw you not again for fifteen years—when he would resume the discussion with the old fervor. His talk was ready, apt, amusing, drenched in reading. He was always writing plays which were never produced, and essays just to clear his thoughts. He always had many varieties of tales, poems, and literary ventures on hand. Whenever I met him I wondered why I did n’t see more of him. But he was hard to see more of: he was elusive. He sought his own habitat, and would never come out of it, save on compulsion.The course of his experiments in life, before he settled down to steady work at literature, might easily be paralleled in the lives of many men of letters in all countries. After Harvard College and the Harvard Law School, came work in law offices, a few discouraging years at the bar, a few other years spent in business ventures. Then five years of organized reform. In this latter field my brother did valuable work, and for some years he was extremely active at Albany as an agent of the Civil Service League. He was also the editor of the League’s newspaper. Both his legal training and his literary facility came into play in these avocations. Mr. George McAneny writes me: “His quiet influence during the period of his active touch with public affairs did a great deal for the betterment of things in this town. I knew him best during his secretaryship in the Civil Service Reform League, to the work of which he gave a devoted order of service—just as his grandfather, John Jay, as a member of Governor Cleveland’s first Civil Service Commission, had given before him. He made ‘Good Government,’ the organ of the League, a much more serviceable organ than it ever had been before, adding to its influence everywhere. He proved, too, a most valuable aid in the handling of legislation affecting the Civil Service, proposed from year to year at Albany,—always, I believe, with good result. He went about everything quietly, but he did a lot of useful work.” Henry Chapman certainly was fitted to be a journalist of the first order, but he lacked the impulsion; and I cannot blame him for deserting reform, since this led to his taking up a kind of work for which he had a real gift—namely, translation. All his life long my brother wrote verses which were marked by singular ease and grace. He was the producer of the occasional verses demanded by his college class, by the Porcellian Club, by the OBK, etc. He could write any species of verse, and he loved to do so. His ear was true and very experienced. He knew a little Latin and Greek, and a great deal of French and German, which languages he had learned as a boy in Europe. He could write French and German, and could read, you might say, any modern language; for he had a passion for etymology and was always pushing his studies further in this field. He had a wide miscellaneous reading in English, French, and German, but his main hobby was modern philosophy, upon which he loved to hold forth. Dr. Baker, the musical adviser of G. Schirmer, with whom Henry was most closely associated in the work of translating songs, wrote as follows in the Bulletin of New Music: “In the death of Henry Grafton Chapman, which occurred on January 16 in New York, the house of G. Schirmer mourns the loss of a friend and gifted coadjutor, a man to whom the musical world owes a debt of gratitude and respect. Of highly versatile talent, Mr. Chapman’s lifework—the work which shall live after him—was finally found in the poetic reproduction in English of those choice poems by foreign writers to which music has been set by composers of genius. “Let none regard this work as a matter of small moment, as something to be tossed off in idle hours, or as something of low degree not to be ranked with the finer products of literary labor. It is true that, only too frequently, a ‘good working translation’ is the utmost ambition of the English versifier; a version which will ‘sing well,’ which rhymes fairly well, and does not conflict too glaringly in accentuation with the original;—as for ‘sense’ and ‘poetic feeling,’ these are made wholly secondary considerations, if considered at all. “Mr. Chapman’s work was on a different plane. He entered at once into the mood and spirit of the poem before him. Equally at home in styles naive, sentimental, humorous, capricious, or passionate, he then, by some genial alchemy of which he possessed the secret, transmuted the exotic prototype into English verse often equal in excellence to, and not seldom surpassing, the original in poetic flow and fervor. He still observed the metre and the accent, and the rhyme, too, wherever possible, but rendered these subordinate to the thought and expression, using them, like the foreign authors, as a vehicle for ideas and emotions, not as a jingle. Henry Grafton Chapman was born on July 16, 1888, in New York, the child of Henry Grafton and Frances Pembroke. He had one son and one daughter with Martha Minerva Altpeter between 1922 and 1923. He died in October 1970 in Bonita, California, at the age of 82, and was buried there. JJ Chapman Bio: Biography He was born in New York City. His father, Henry Grafton Chapman, was a broker who eventually became president of the New York Stock Exchange. His grandmother, Maria Weston Chapman, was one of the leading campaigners against slavery and worked with William Lloyd Garrison on The Liberator. 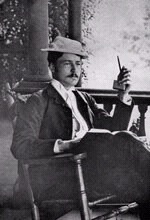 He was educated at St. Paul’s School, Concord and Harvard, and after graduating in 1885, Chapman traveled around Europe before returning to study at the Harvard Law School. He was admitted to the bar in 1888, and practiced law until 1898. Meanwhile he had attracted attention as an essayist of unusual merit. His work is marked by originality and felicity of expression, and the opinion of many critics has placed him in the front rank of the American essayists of his day. In 1887 Chapman assaulted a man for insulting his girlfriend, Minna Timmins. He punished himself for this act by putting his left hand into fire. It was so badly burnt he had to have it amputated. He married Minna Timmins in 1889 and they had two children, including future pilot Victor Chapman. Timmins died giving birth to their third child. Chapman later married Elizabeth Chanler. Chapman became involved in politics and joined the City Reform Club and the Citizens’ Union. He lectured on the need for reform and edited the journal The Political Nursery (1897-1901). He is the subject of a biographical and critical essay by Edmund Wilson in The Triple Thinkers which recounts the reasons behind Chapman’s deliberately burning off his own left hand. “Great Men” wrote John Jay Chapman, A.B. 1884, “are often the negation and opposite of their age. They give it the lie.” He was writing in 1897 about Ralph Waldo Emerson, but the remark states the theme of his own life and its defect. Chapman is one of America’s lost writers; indeed, he may be the best of them. On his particular subjects, literature and politics, he is unique, invaluable–and quite forgotten. Chapman’s generation takes us from the Civil War to the time of Theodore Roosevelt, Henry Ford, and Edith Wharton. The son of a respected Wall Street figure and the great-granddaughter of John Jay, the nation’s first chief justice, Chapman studied law at Harvard before returning to New York City to practice. There he plunged into Reform politics, opposing Tammany Hall and in general attacking the pervasive corruption of the Gilded Age. 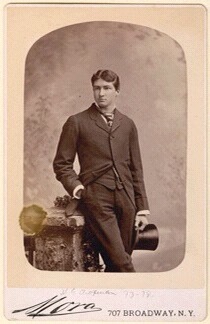 Chapman was a man of extreme, sometimes violent impulses: his Harvard friends had called him “mad Jack.” His political work in the 1890s was by no means cloistered: though a patrician to his fingertips, he was more than willing to harangue the Broadway crowds at the tumultuous political rallies of the time and even to leave the platform to grapple with hecklers. Nevertheless, most of his reform efforts consisted of writing and organizing. From 1897 to 1901, he published at his own expense, and mostly wrote, a reformist monthly, the Political Nursery, which Edmund Wilson later called “one of the best written things of the kind which has ever been published anywhere.” In 1898 Chapman actively promoted Theodore Roosevelt as an independent reform candidate for governor of New York, but the alliance collapsed when Roosevelt chose instead to run, successfully, as the candidate of the state Republican organization, which Chapman held no better than Tammany Hall. Perhaps the failure of Roosevelt’s reform candidacy stood in Chapman’s mind for the failure of reform itself, and helped push him to withdraw from politics. This he did around the turn of the century. At the same time, his circumstances had become easy enough for him to give up his law practice. After his first wife’s early death in 1897, he had married Elizabeth Chanler, a member of the Astor family, and by 1901 they had moved to an estate at Barrytown on the Hudson River. There Chapman concentrated on literary work. Chapman earned many medals and commendations during his military career. Chapman was interested in the arts and in writing. He often found inspiration to write while he was in the middle of battles, and many of the letters he sent to his father were written in these circumstances. A book of these letters, called Letters from France, was published after his death. In his memory, the composer Charles Martin Loeffler, a friend of Chapman’s father, composed his quartet Music for Four Stringed Instruments. He was born in 1893, in New York. He had two brothers. He died as a child of drowning on August 13, 1903, in Austria. His mother died four years after his birth. Conrad CHAPMAN was born on December 24, 1896, in New York. His mother died after his birth. He married Judith Daphne about 1933. He died on August 18, 1989, in Boston, Massachusetts, at the age of 92, and was buried in Bedford, New York. He had no children. Now 76 and possessed of piercing brown eyes, a bristling mustache and wiry hair, Chapman nearly always wears blue bib overalls and carries a slingshot. He is fond of slingshots, because “they don’t make any noise,” and he shoots at what tickles his fancy. Not long ago he fired a ball bearing at a Jeep owned by his cousin, Bronson W. (Bim) Chanler, former captain of the Harvard crew, inflicting what Chapman calls “a nice dimple” in the left front fender. Ball bearings are expensive ammunition, however, so, for $4, Chapman recently bought 600 pounds of gravel. He calculates this supply of ammo should last at least five years. Before his infatuation with slingshots, Chapman was big on guns. He hunted deer, small game and upland birds and ducks, mostly on his estate. Indeed, at one time he had 115 guns, and his shooting habits were such that friends who came to hunt once never cared, or dared, to return again. Chapman had only to hear the quack of a duck and he would let loose with a blast in the general direction of the sound. On a couple of occasions it turned out that he had fired toward hunters crouched in reeds, using a duck call. “Almost got a few people,” he would say matter-of-factly. Chanler Chapman’s mother, Elizabeth Chanler, was one of the orphaned great-great-grandchildren of John Jacob Astor, each of whom came into an inheritance of some $1 million. They were called the “Astor Orphans” by Lately Thomas in A Pride of Lions, a biography of the 19th-century Chanlers. “There was never anything wrong with the Chanler blood until crossed with the yellow of the Astor gold,” says Winty Aldrich. By blood, the Chanler descendants are mostly Astor, with an admixture of Livingston and Stuyvesant. Knickerbocker patricians, they are related, by blood or marriage, to Hamilton Fish Sr., Franklin Delano Roosevelt, Jimmy Van Alen, Marion the Swamp Fox, Julia Ward Howe and General John Armstrong. It was the last who built Rokeby in 1815 after he blotted his copybook as Secretary of War by letting the British burn the Capitol and White House. It has been said of Chanler Chapman that the genes on the Chapman side of the family provided the polish, while the Chanler genes imparted raw psychic energy. Chapman’s middle name is Armstrong; he was named in honor of Uncle Archie, his mother’s oldest brother. “Archie was a pure bedbug,” Chapman says. That may be understating the case. After escaping from the Bloomingdale asylum, where he had been committed by his brothers (with the help of Stanford White, the architect and a close family friend). Uncle Archie fled first to Philadelphia, where he was examined by William James, and thence to Virginia. He changed his last name to Chaloner and started a long legal battle to have himself declared sane in New York. In the midst of the legal battle for his sanity, Uncle Archie shot and killed a wife beater who had invaded his house. To commemorate the encounter, he sank a silver plate in the floor with the cryptic inscription HE BEAT THE DEVIL. He was absolved of the killing, which occurred in 1909, shortly after Harry K. Thaw shot Stanford White, but the New York Post noted, “The latest prominent assassin has taken the precaution to have himself judged insane beforehand.” Archie sued for libel, and the case dragged on to 1919, when he won both the suit and his fight for sanity in New York. By now Uncle Archie had come to love automobiles and made peace with his brothers and sisters. He came visiting in a Pierce-Arrow he had had custom-made. Parts of the rear and front seats were removed to make room for a bed and a field kitchen, and the car was painted with blue and white stripes copied from a favorite shirt. Chanler Chapman would meet Uncle Archie in Manhattan, and they would drive back and forth between the Hotel Lafayette and Grant’s Tomb. “He told me he was the reincarnation of Pompey,” Chapman says, “but that he was going to have more luck than Pompey and take over the world. His eyes would gleam and glitter. He would also rub an emerald ring and say to the chauffeur when we came to a light, ‘Watch, it’s going to turn red!’ or, ‘Watch, it’s going to turn green! See!’ ” In Barrytown, Uncle Archie dined, as family members pretended not to notice, on ice cream and grass clippings. At St. Chanler Chapman was nicknamed Charlie Chaplin, after his own exploits. From the start Chapman had what the St. Paul’s masters called “the wrong attitude.” Some years afterward he wrote a book with that title about his days at St. Paul’s. (In Teacher in America, Jacques Barzun praises The Wrong Attitude for Chapman’s “penetrating remarks.”) Once young Chapman jumped into an icy pond to win a $50 bet, and he collected a purse of $100 for promoting a clandestine prize fight in which he was knocked out. On another occasion, boys paid 50¢ apiece to watch Chapman fill his mouth with kerosene and strike a match close to it. Flames shot across the room. On the side, he dealt illegally in firearms, selling one Smith & Wesson .32 time after time. It jammed after every third or fourth round and, invariably. Chapman would buy it back from the disgruntled owner at a reduced price. A center in club football, he practiced swinging a knee smartly into the ribs of an opponent, but when he cracked the rib of a boy he liked, he felt such remorse that he gave the boy a silver stickpin shaped like a broken rib with a diamond mounted over the break. Chapman was too young for World War I. 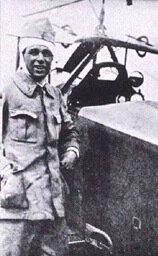 He desperately wanted to serve after his half-brother, Victor, was shot down and killed while flying for the Lafayette Escadrille. Fortunately, he was distracted by his Uncle Bob, Robert Winthrop Chanler, the youngest, biggest and, in many ways, the most raffish of the Chanlers. “Uncle Bob dreaded the thought that Chanler would be filled with pieties,” says Winty Aldrich. After Harvard, Chapman went to Paris where he acquired his lasting affection for horse racing. He went broke at the track, and his Uncle Willie, Colonel William Astor Chanler (also known as African Willie, because he had explored parts of the Dark Continent where Stanley said he would not venture with a thousand rifles), gave him a job at an ocher mine he owned in the south of France. Six weeks in the mine were enough. Seeking fresh adventure, Chapman joined an acquaintance who was sailing a 47-foot ketch, the Shanghai, from Copenhagen to New York. But Chapman found the trip a bore-“The ocean is the dullest thing in the world. The waves just go chop, chop, chop”-except for a stop in Greenland, where he swindled the Eskimos by trading them worn-out blankets for furs. Off Nova Scotia he lost the furs and almost everything else when the Shanghai foundered on rocks, forcing all to swim to shore. Back in the U.S., Chapman undertook a career as a journalist. He worked for the Springfield, Mass. Union for two years and then joined The New York Times. “Anyone who spends an extra week in Springfield has a weak mind,” he says. The Times assigned Chapman to the police beat on the upper East Side but Chapman decided that crime, like the ocean, “bores the hell out of me.” He spent a year playing cards with the other reporters and then quit to work for a book publisher. In 1932 Chapman took over Sylvania and became a full-time farmer. He devoted a great deal of effort to organizing dairymen so they might obtain better milk prices, but division in the ranks made the task impossible. Then, during World War II, Chapman, with the seeming compliance of President Roosevelt, worked up a plan to seize the islands of St. Pierre and Miquelon off Newfoundland from Vichy France. He was called off at the last minute by F.D.R., who had apparently been having a lark at his neighbor’s expense. Chapman next volunteered as an ambulance driver for the American Field Service and served in Africa and Burma. Nautically, his luck seemed to pick up where it had left off with the sinking of the Shanghai-a freighter taking him to Egypt was torpedoed 600 miles southeast of Trinidad. “It was very entertaining,” he recalls. “The vessel was carrying 1,900 tons of high explosives.” Fortunately, the ship, which had been struck in its boilers, went down in seven minutes and did not explode. Chapman had the foresight to stick $200 in traveler’s checks and a bottle of Abdol vitamin pills inside his life jacket before scrambling into a lifeboat. After a week’s sail, he and the other survivors made it to Georgetown, British Guiana. Over the years, Chapman has conducted his own radio interview show but at present he is off the air. His last sponsor was a dairy, for whom he used to deliver remarkable commercials, such as, “Their man is on the job at five in the morning. You might even see him back at a house for a second time at nine, but let’s skip over that.” Some of Chapman’s taped interviews are memorable, like the one in which he kept referring to the mayor of San Juan, P.R., where Chapman happened to be on vacation, as the mayor of Montreal. “San Juan, Señor,” the mayor would say plaintively every time Chapman referred to Montreal. The shooting in early spring, Chapman said, had been superb. The frozen Hudson was breaking up, and he liked to go down to the river with a .22 to shoot at pieces of ice. The most challenging shot was at twigs floating by. “Crack a little twig when it’s just barely moving!” he exclaimed. “It’s better than any shooting gallery. You feel like a newborn baby.” Friends who happen along at this time of the year may be greeted as William Humphrey, the novelist, was. Chapman insisted he shoot his initials into the snow by the front porch. That is Chandler Chapman Astor story! Obit John Jay Chapman, II, 84, of Red Hook, NY, died Tuesday, January 11, 2011 at his home surrounded by his family. A veteran of the Korean War, he served with the US Marine Corps. He went on to work for the US Postal Service in Red Hook until his retirement. Jay was a member of St John’s Episcopal Church in Barrytown, NY. Born May 30, 1926, in Springfield, MA, he was the son of the late Chanler A. and Olivia (James) Chapman. He married Isabel Fantauzzi on Nov. 7, 1957 in New York City. He is survived by his wife: Isabel F. Chapman, a son: Tomas (Laura) Fantauzzi Millan of Tivoli and their children Samot (Tosha) Millan, and Cesar Millan, a son: Perfecto Millan of Red Hook, and his sons Alexis & David Millan, a daughter: Raquel Chapman of Paris, France and her children Julian & Edward Bricambert, a son: Antonio Millan of Puerto Rico, and his children Elian & Rosibel Millan, a son: John Plail of Texas, a sister: Maria Weston Chapman of Rhinebeck, a brother: Victor Chapman of Oregon, and cousins: J. Winthrop Aldrich, Richard Aldrich, and Rosalind Aldrich Michahelles. A brother, Robert Robertson Chapman, predeceased him in 1996. Funeral services will be held at 1:30PM on Sunday, January 16th, at St. John the Evangelist, Church, River Rd, Barrytown, NY. Robert Robertson Chapman was born on March 8, 1933, in Red Hook, New York. In 1952 he saw action in the Korean War. He had two brothers and two sisters. He died on March 1, 1997, at the age of 63 in Broward Florida. I believe he was unmarried. Chapman, Victor W. 8/23/1949 3/13/2011 Victor was born in Poughkeepsie, N.Y He was a counselor for Multnomah County and the Veterans Administration. He died on March 11, 2011, in Oregon, at the age of 75. Maria Weston Chapman was born on March 26, 1937, in Boston, Massachusetts. She had three brothers. She died on November 25, 2013, in Rhinebeck, New York, at the age of 76, and was buried in Barrytown, New York. William Yates Mortimer, who was educated in Europe, married Elisabeth Thorpe, daughter of Aaron Thorpe of Albany. He inherited the bulk of his father’s estate and by clever management greatly increased his property. He died in 1891, leaving a large sum to charity, and survived by his widow and two sons, Richard Mortimer, who married Miss Eleanor Jay Chapman, grand-daughter of the late Hon. John Jay, and Stanley Mortimer, who married Miss Tissie Hall, daughter of the late Valentine Hall. Mary Eleanor MORTIMER was born on April 25, 1887, in New York. She married Maxime Hubert Furlaud on November 29, 1885. They had two children during their marriage. Her husband was active producing fine cognac with the label Hubart Furland Cognac. He died in Argentina at age 95. They were married 83 years! Mary Eleanor Mortimer is known for her sculpture. Bio: Richard Mortimer Furlaud was born in 1923. Richard currently lives in Palm Beach, Florida. Before that, Richard lived in Palm Beach, FL in 2011. Before that, Richard lived in New York, NY from 1994 to 2012. Richard Mortimer Furlaud is related to Isabel Furlaud, who is 81 years old and lives in Palm Beach, FL. Richard Mortimer Furlaud is also related to Richard Furlaud, who is 63 years old and lives in New York, NY. Beatrix Mary Jay CHAPMAN was born in 1864 in New York. She married Sir George Head Barclay and they had one daughter. Her first marriage ended in divorce and she then married Raymond De Candolle whom she had developed a relationship with in June 1920 in London. She died on December 12, 1942, at the age of 78. Bio: Dorothy Katherine Barclay, b. between 1886 and 1890, d. 15 January 1953 Dorothy Katherine Barclay was born between 1886 and 1890 at Rome, Italy.1 She was the daughter of Sir George Head Barclay. She married Sir Coleridge Arthur Fitzroy Kennard, 1st Bt., son of Hugh Coleridge Downing Kennard and Helen Wyllie, on 5 April 1911.2 She and Sir Coleridge Arthur Fitzroy Kennard, 1st Bt. were divorced in 1918.2 She died on 15 January 1953.2 Her married name became Kennard. He was educated at Eton College, Windsor, Berkshire, England.2 He was commissioned in 1936, in the service of the 4th Queens Own Hussars.4 He fought in the Second World War, where he was mentioned in despatches twice, and was a POW (1939-41).2 He was Lieutenant-Colonel of the 4th Queen’s Own Hussars between 1955 and 1958.4 He was with Cement Marketing Company between 1967 and 1979.4 He succeeded to the title of 3rd Baronet Kennard, of Fernhill, co. Southampton [U.K., 1891] on 3 May 1967.4 On his death, his baronetcy became extinct. Zandra married Maj. John Middleton Neilson Powell.5 They had two children. This entry was posted in Jay Family History and tagged Astor, Chandler, Chapman, Jay, John JayII on May 4, 2016 by jsdubois28.